● The rewards section of the website allows you to refer a friend and earn points for gift card rewards. Points expire six months after the date they were earned. ● Savings are built into the program. You can save up to 96.6% on gift cards when you buy them through the site. ● There is a 100% money-back guarantee for 60 days on all physical gift cards. ● Refunds will be provided in the event that the gift card was not received, the card didn’t contain the value it was listed for, the card expired before your purchase, or the business closed down before you purchased the gift card. Visitors to the Raise.com website will have the chance to purchase and sell gift cards, both brand-new as well as those that have been used previously but still have a balance remaining. This discount gift card retailer gives everyone the opportunity to either find significant savings on gift cards to shops that they enjoy frequenting or the chance to move a gift card that would have went otherwise unused for cold hard cash. Everyone has the opportunity to sign up for a free account on this platform to either purchase or sell gift cards, though those that are interested in selling gift cards will have to independently verify that the balance on a specific card is legitimate. 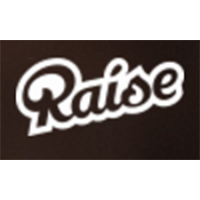 For most up to date offers check out Raise.com on Facebook and Twitter or contact Raise.com Support for any questions.